SINGAPORE (Mar 6): Starting today, blocks of Impossible Foods Inc.’s plant-based meat will be delivered to eight restaurants in Singapore to be made into a variety of cuisine from burgers and ‘meatballs,’ to char kway teow and ‘beef’ Wellington. Headquartered in California, the Temasek-backed firm’s entrance into Singapore comes hot on the heels of its rival Beyond Meat, a Los Angeles-based startup backed by Microsoft’s Bill Gates. Impossible Foods and Beyond Meat are among the world’s most well-funded clean meat startups challenging the five-billion pound (2.3 tonnes) ground beef industry. The former began selling its plant-based meat in 2016 through some of America’s fanciest restaurants, while the latter went big on grocery stores. Now, they are going head-to-head to expand their markets globally and have targeted restaurants overseas, with Impossible Foods having raised over US$475 million ($645 million) and another US$122 million in funds raised by Beyond Meat. Impossible Foods will be launching their faux meat products in grocery stores by the end of this year -- a move made by Beyond Meat in 2016. Restaurants selling Impossible Foods’ plant-based meat include Adrift by David Myers, Bread Street Kitchen by Gordon Ramsay, CUT by Wolfgang Puck, Empress, Park Bench Deli, Potato Head Singapore, Privé Orchard and Three Buns Quayside. Last year, local burger joint Wolf Burgers, Vegan Chinatown street food stall Hello Baby and Mezza9 started serving burgers made from Beyond Meat’s patties. Impossible Foods’ plant-based meat is manufactured in the US and distributed by Classic Fine Foods in Singapore. 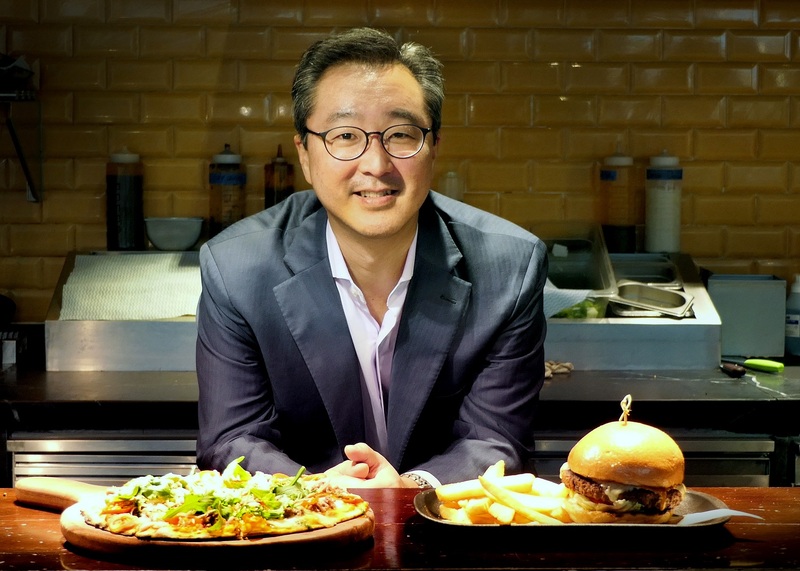 David Lee, COO and CFO of Impossible Foods, says Asia makes up 40% of his company’s market, which it entered by partnering celebrity chefs and top restaurants. Lee shares that the company grew 10 times in 2018 compared to the year before in terms of revenue, and has a presence in over 5,000 locations. Its non-meat product debuted in Hong Kong and Macau last year in over 150 restaurants. In the US, White Castle restaurant joints offering vegan burgers using Impossible Foods' products saw their sales figures exceed projections by 30%. “Our goal in Singapore is to create a massive following, strategically demonstrate can be turned into anything a Singapore's chef desires. We don't have a revenue target or a hard number on location,” says Lee. According to him, about 97% of Impossible Foods’ customers are “hard-core” meat eaters. “Meat eaters crave meats, and I think they want to feel less guilty about the meat that they crave… The consumer demand for such a product is not a trend or a fad. It is the insatiable demand of meat eaters to eat meat that makes them feel better about themselves and the environment. This is as close to meat as you can get without compromising [on the flavour],” says Lee. Climate threats, and concerns that future food production may be unable to meet population growth, are among reasons that have spurred investors towards plant-based meats. Jeff Bezos, Michael Bloomberg, Richard Branson, Jack Ma and Softbank founder Masoyoshi Son are among those who have made bets in at least one engineered ‘clean meat’ sector. Beyond Meat says its latest meatless endeavour is made from a blend of pea, mung bean and rice proteins. It also boasts 25% less saturated fat than beef. On the other hand, at the core of Impossible Foods’ meatless alternatives is its engineered plant-based heme molecules -- the substance that makes meat red and gives it a savoury taste -- which are made using fermentation with yeast. Lee says his company’s process uses 75% less water and requires 95% less land than meat production. Nonetheless, there will be challenges ahead for companies like Impossible Foods, depending on their abilities to develop themselves beyond just a fad, as well as to bring their costs down to reasonable levels. It is also likely that these companies will have to worry about their supply chain and manufacturing bases as they try to conquer more markets. At scale, Lee says Impossible Foods’ cost of production is at, or below, the cost of conventional meat. He denied to disclose the company’s revenue figures or exit plans.